Adding colour to a Memory Care Community also adds life, stimulation, a boost to morale and a means of identifying ones own space. Windows are a good accompaniment adjacent to the Residents' front doors in Memory Care Communities. 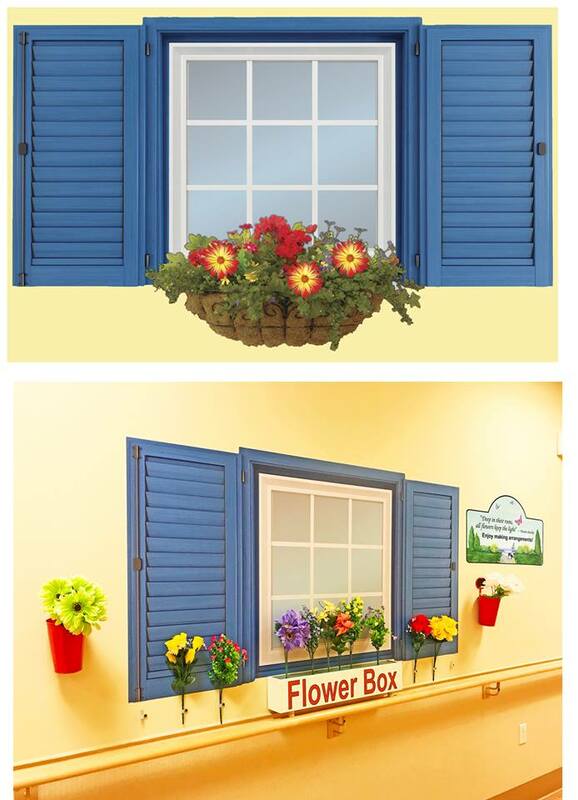 They can be either fixed flower graphics as you see here or Interactive, where residents can make their own arrangements. These are not hand painted this time, but prints on wrap material which has a special no-glare laminate for protection and easy cleaning. If these enhancements could work for your Care Community - get in touch! Whether you install or we install!